We provide Local Phone Numbers in Uruguay. All the numbers you hire are unique with the country and area prefix code from Uruguay, so your callers will make phone call to your phone number in Uruguay and pay at local rate. Our numbers also have portability, so you don't have to be in Uruguay to answer your phone, you can virtually carry and access your local phone number in Uruguay from anywhere worldwide. * (1) Proof of Address (copies of utility bills no older than 6 months). * Passport or ID Copy (companies shall provide instead the company registration certificate). * Name and Contact Phone number (and company name if applies). 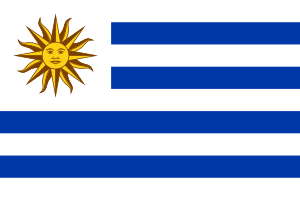 You can choose your own Local Phone Number in the following locations of Uruguay.